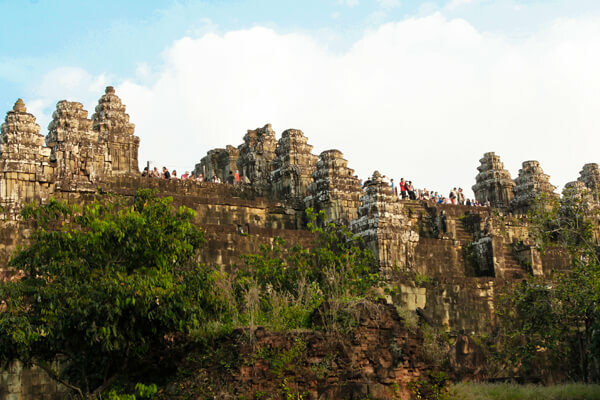 Explore the world wonder - Cambodia to take in view of awe-inspiring temples and the world of jungles and waterfalls. 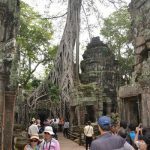 Our customized 12-day Cambodia vacation would take you to unearth the realm of the gods, the glory and suffering history, an empire of temples, the urban scene or even thrilling Upcountry Adventures, then your Cambodia trips will be filled with colors. 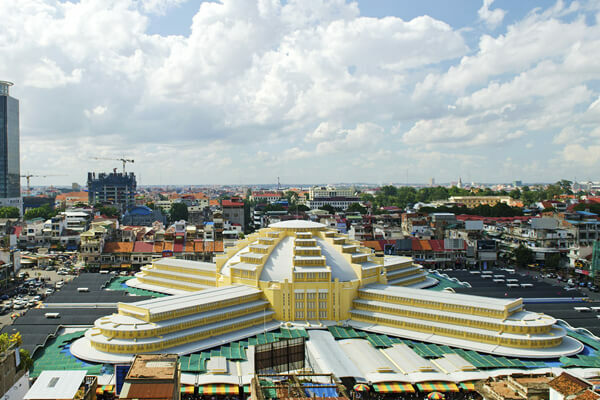 Highly renowned as the ‘Pearl of Asia’, Phnom Penh conjures the image of an exotic city with classical architecture, loveliest French-built patterns of Indochina, glimmering Royal Palace, coupled with colonial buildings, grand boulevards and alluring café culture. 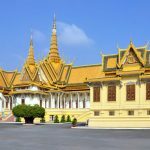 With loads of things to offer, Phnom Penh endears itself to visitors all over the world and is actually a daydream afar waiting out there to be explored. 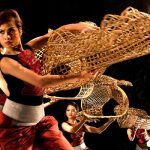 To start your promisingly enjoyable night, you will have a chance to take in the joyful Cambodian Living Art performance which takes place in the world-known Cambodian National Museum at 07:00 pm. 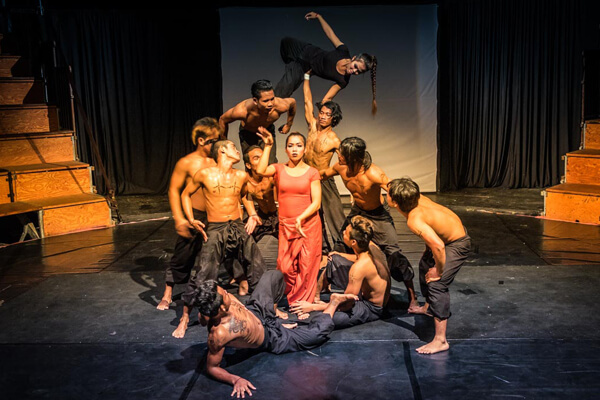 With no doubt, there is no better way than watch such a meaning performance that provides you an opportunity to deeply understand Cambodian lifestyle. 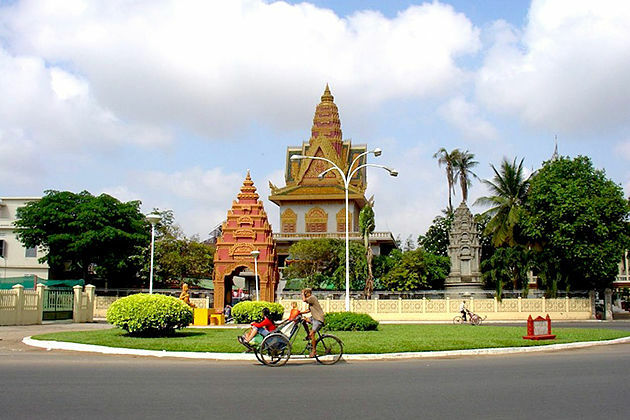 When finishing your first scrumptious breakfast at your hotel, you will head out of Phnom Penh 15 kilometers to see Beoung Cheoung Ek Memorial Museum (Killing Fields) with the companion of your tour guide. 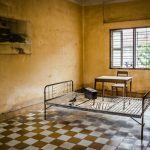 After that, you will be back to Phnom Penh for a trip to Tuol Sleng Museum (S21). 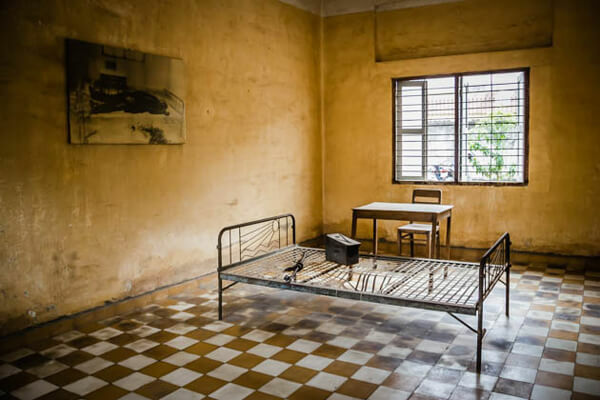 Try to be on time in order to grasp a chance to see a documentary film about the Khmer Rouge regime and the genocide of Pol Pot, in which the victims are detained and tortured at the S-21 prison (Tuol Sleng Museum), were transported to the extermination to death. 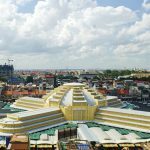 Cambodian Government constructed a massive Stupa (Memorial Monument) to keep some of those skulls, bones, and pieces of clothing for the yearly ceremony to bring peace to the spirits of the deceased. 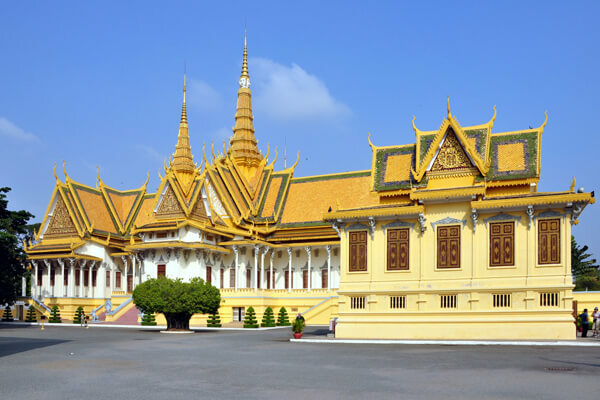 After grabbing a flavorful lunch (on your account), continue your journey with a guided tour of the National Museum, the Royal Palace with the Silver Pagoda. There is nothing quite like marveling at some of the world’s most spectacular buildings, including the Throne Hall, the Royal Treasury Hall and the Napoleon II villa in the Royal Palace; whereas, reward yourself with beautifully unique architecture of Silver Pagoda (Pagoda of Emerald Buddha) in which its steps are crafted from Italian marble and more than 500 solid silver blocks weighing about six tones are available within the throne room. 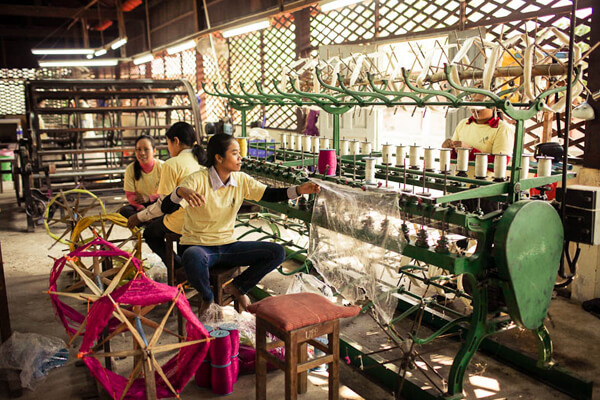 Fill your trip with color by experiencing a Cyclo excursion along the Mekong Riverfront, then passing Wat Phnom to have your sense thrilled by all the sights, sounds and tastes of Phnom Penh. 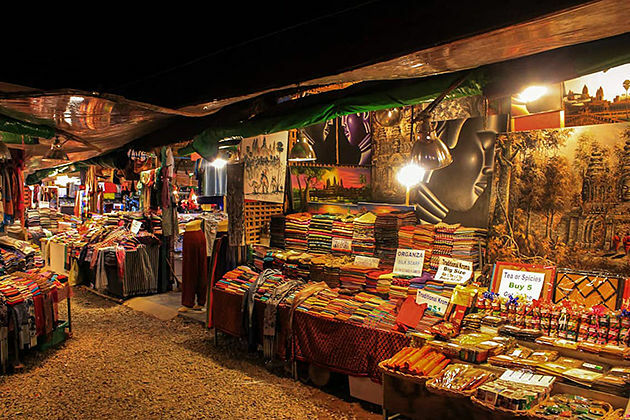 The third day of your trip will be a lot of fun with the ultimate experience in the town of Battambang, popularly known as ‘City of rice bowl’. After your breakfast at your hotel, you will make your way to lovely Battambang which is situated along Sagkae River and flanked by some well-preserved colonial architecture. 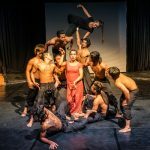 Battambang offers luxury beyond your wildest dream to immerse in a wonderful place born in contact with modern patterns, small-town friendliness, fresh fruits friendly and the unique charm. Along the road, you can take in stunning views of uninterrupted rice fields surrounding the serene villages and farming countryside. 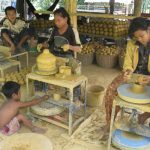 Here, you will explore Udong (Phnom Udong), an abandoned city (1618-1866) and the home of a succession of kings, deposed from the former capital of Longvek by the invading Thais as well as will see a pottery factory in Kompong Chang. 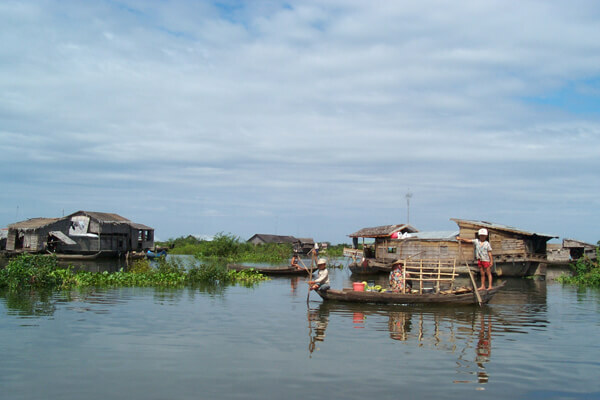 Then there is an amazing leisurely boat excursion at Kampong Luang floating village is waiting for you. After that, you need to check in at our hotel prior to uncovering the town by foot and experience the bamboo train ride through the country. 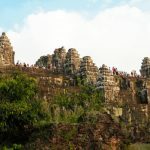 After having breakfast at your hotel, transfer to a renowned temple on the hilltop of Phnom Banon, a long-established temple erected for Shiva god sane and the temples are Phnom Bakheng, Phnom Bok and Phnom Kom located in Siem Reap. Phnom Sampeau is gaining its over-increasing popularity as in the past it is where one of the caves was used as a ‘killing cave’ during the regime of Pol Pot (1975-79). 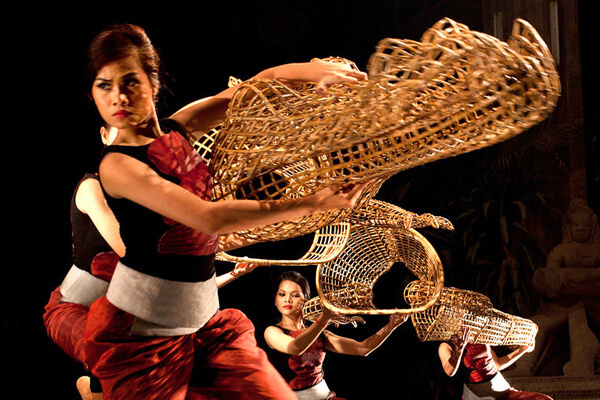 A visit to Siem Reap is almost like a journey back in time to an ancient world. 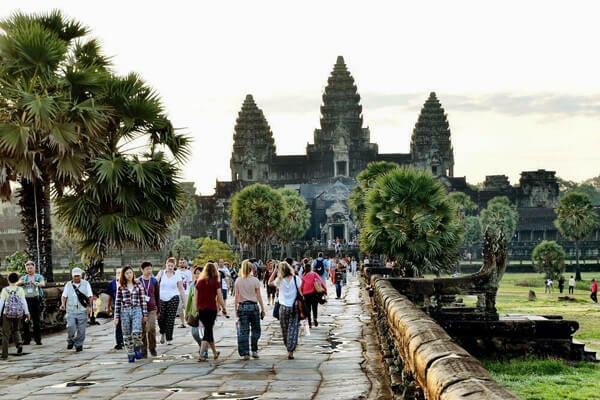 Siem Reap, which means the “Defeat of Siam”, is next to the Angkor Archaeological Park on the north and Tonle Sap Lake on the south of the city. 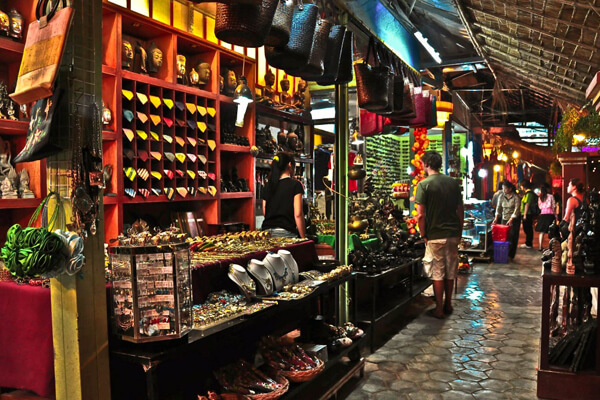 The charm of Siem Reap lies in a huge selection of best-known places, encompassing Old Market, or Phsa Chas. 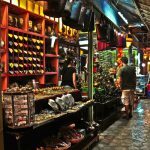 Additionally, it is home to a high concentration of alluring café and food culture as well as geared shops that definitely appeal to visitors’ interest. Like days before, you are required to check in to the hotel before taking your own time to relax or wandering around the town. The fifth day of your journey is also filled with color by enjoying the early morning sunrise over the Angkor’ five towers, which would give you a chance to live to the fullest. 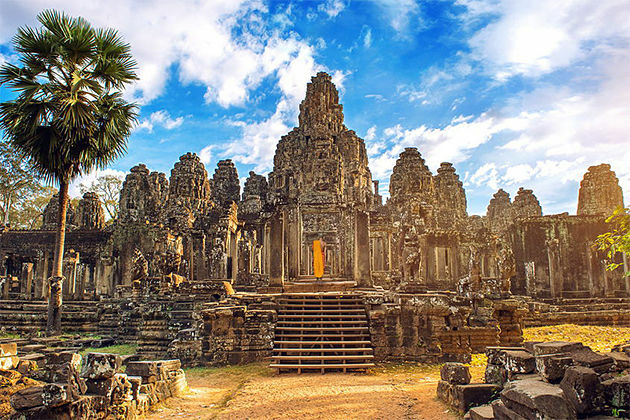 Then you will be back to see the Khmer Empire “Angkor Thom”, one of the best preserved of all the temples, and the layout and scale are equally breath-taking. 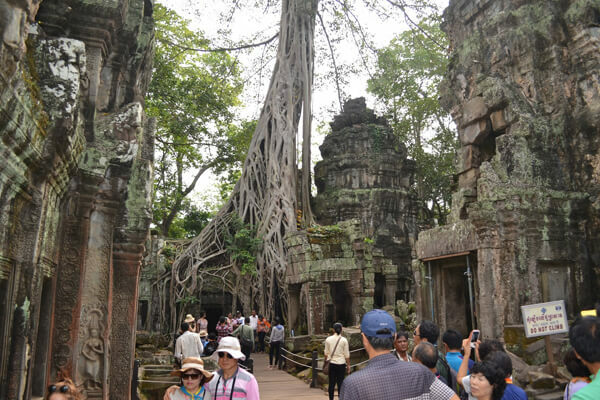 Next, you will explore the South Gate, Bayon, Baphuon, the Terrace of the Elephants and the Terrace of the Leper King before visiting a jungle temple overgrown by balsa wood trees and vines, Ta Prohm Temple to sense the air of mysteries. A promisingly amazing afternoon is there for you to explore the stunning Cambodian countryside to see Banteay Srei and Banteay Kdei temples. Banteay Srei which is also called ‘Women’s Temple’ is closely linked with the supposed training of female soldiers to fight against the enemy. Erected from a beautiful pink sandstone and decorated with intricate stone carvings, this is certainly a great place for exploration. 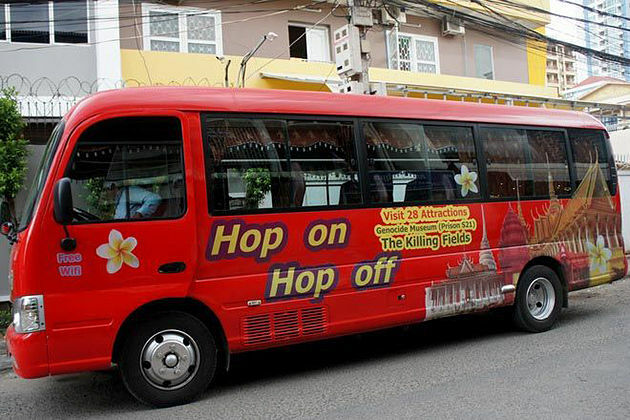 When being on the return way, you’ll pay a visit to Cambodia Landmine Museum which is home to thousands of landmines. More impressively, there exists the story of the one Khmer man, Mr. Aki Ra, who disarmed the majority of these landmines alone. 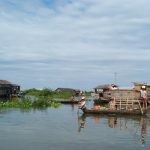 In the morning after the lovely breakfast in your hotel, will driving down south to see the great annual flood of Tonle Sap Lake, you’ll take a boat excursion to see the village of Kompong Phhluk on stilts. Explore this great ecosystem by way of canoeing and hear the calls of the birds or macaque monkeys while observing the forest beneath the lake’s surface, you’ll see the Buddhist temple is standing on the island with some beautiful Buddhist life painting on the ceiling. 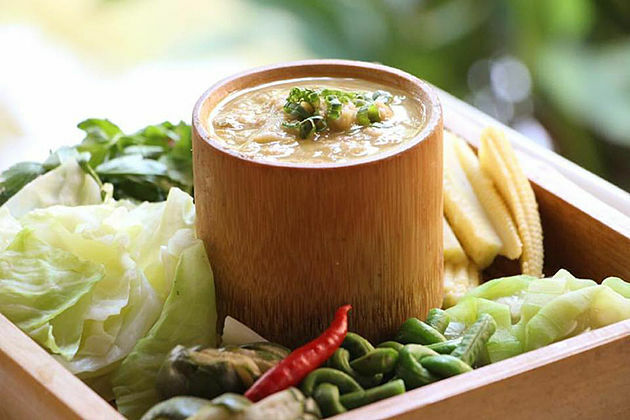 If your time permits will visit Artisan D’Angkor before having lunch at FCC (Foreign correspondents club). Spending an afternoon with an exciting trip to Angkor for an excursion the amazing and awe-inspiring temples of Angkor Wat where is surrounding by manmade moat and has recorded as the UNESCO World Heritage Site, you will also enjoy climbing up to the hilltop temple of Phnom Bakheng hilltop or Pre Rup temple to see an imposing temple for a truly memorable sunset with the panorama view. Breakfast at the hotel then today is a free day for you to relax by the pool, or go shopping at the local market. You will be picked up from your hotel for a new experience. Quad Bike Adventure would satisfy everyone, especially those being interested in adventures. 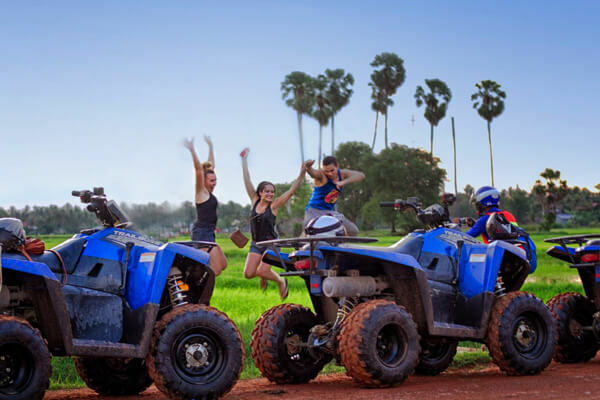 This fabulous adventure will take you through the countryside of Siem Reap to know more about the local people’s life, culture, and tradition. 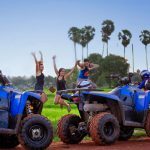 You will have a chance to drive on the flat terrain for 2 or 3 hours to explore peaceful villages where you can gain a first-hand experience of Khmer traditional house built on stilt, Buddhist monastery as well as the farming area. 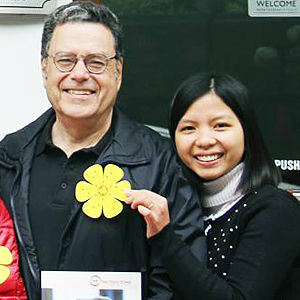 Moreover, you are likely to experience to truly countryside life with kids, local villagers, or monks in the meantime. 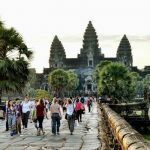 This day starts with a breakfast at your hotel before spending your own time exploring the little Siem Reap town with Old Market or Angkor Silk Farm trips. It is also a good chance to be in contact with Khmer traditional massage if you have time. 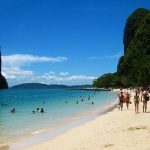 You will check out your hotel at 12:00 mid-day and your guide and driver will be ready for your transfer to Sihanoukville. 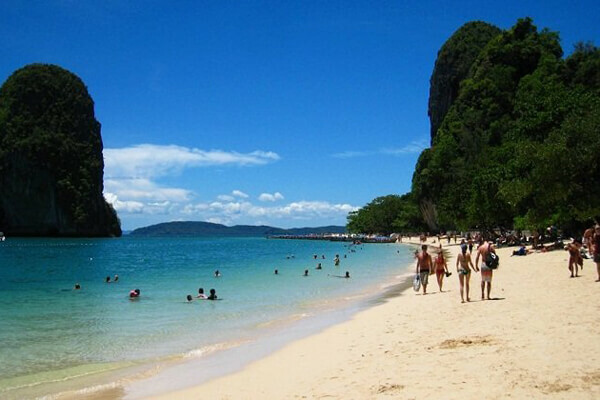 After a short flight, you’ll arrive at Sihanoukville airport. Then, your driver will pick you up to transfer you to your hotel for check-in. Before revisiting Sihanoukville, you will enjoy your breakfast. Then it is time to transfer to Phnom Penh International airport for your departure flight. You should note that your land journey will take approximately 3.5 hours.